Al Hamd Jewels Traders are the gold Jewelry manufacturer, exporter, importer and order supplier and have been associated to this business since 1998. New Star Jewellers is located in Jhelum, Pakistan. Company is working in Jewellery, Jewellery design, Jewellery valuers business activities. 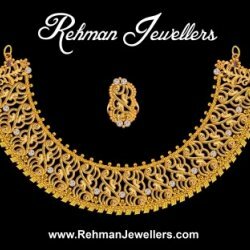 RANA JEWELLERS is located in Rawalpindi, Pakistan. Company is working in Jewellery design business activities. They have latest and traditional all kinds of jewelry designs.